A representative sample of the projects undertaken and their results are outlined below. Characterize the SMT solder paste stencil printing process to determine the effects of process variables on height, area coverage and volume of solder paste deposited on a pad. Develop cause and effect relationship between input and output variables. Plan and execute engineering design of experiments to identify and optimize critical input parameters. Recommends critical variables or input printing parameters that must be controlled during the process and the optimum settings for print speed, pressure, separation speed and separation distance that are desirable for good print quality. Evaluate the utilization of machines used to fabricate metal products and determine efficiency. Develop and established assignment model for optimization of resource utilization. Model application resulted in 50% reduction in lead time and 30% increase in machine utilization. Evaluated defective coffee makers and analyzed field data of associated failures to determine and eliminate failure mechanism with the intent of improving the product design. Applied DMAIC methodology [Six sigma tools] to develop and implement innovative solution. Warranty expenses reduced by $222K within one year after design changes were implemented. Redesign of metal fabrication manufacturing facility to reduce material handling, eliminate unnecessary material flow and to determine conformance to ergonomic requirements. Applied Binary Ordinary Algorithm and systematic layout planning approaches along with process flow analysis to develop and evaluate alternative facility layout. Utilize relationship chart and relationship diagramming to aid in the facility design process. Minimization of the cost of flow, increased efficiency and productivity, improved material and space utilization. Determine the confidence level at which the component from one supplier is better than the component from the other at a specific mean life. Applied Weibull technique for comparative analysis and to evaluate the reliability parameters of the heater. Based on the results of the Weibull analysis recommended supplier that manufactured component at lower cost with desired reliability [MTBF] and established the confidence level at which component from one supplier is better than the other at the mean and 10% failed life. A small shop involving key cutting operation was not productivity conscious and had no formal method to evaluate productivity. The manager of the operation wanted to establish methods for measuring and evaluating productivity so the shop could formally plan its productivity. Three weeks observation to get familiar with operation; performed time studies, developed cause and effect diagram, quantitative productivity analysis [Queuing and simulation] and application of productivity technique. Developed a short term Total Productivity Model [TPM] that outlined a step-by-step procedure to formalize the productivity process for the operation. Recommend production activity control, forecasting technique, linear programming and priority scheduling to improve shop operations. Develop and implement reliability and maintainability program applicable to insure hydraulic products meet customer reliability and maintainability requirements. Review customer reliability and maintainability requirements then formalize a design for reliability and maintainability approach for implementation. Utilizes MIL-HDBK-785 and MIL-STD-470 as a guide in the program development. Reliability and maintainability plan or technical reference document is established for the supplier to assess, validate and demonstrate conformance to customer’s product reliability and maintainability design factors and operational requirements for all products that is design and manufacture. Evaluate the cost, delivery, and quality performance of approved vendors and determine if there is continuous improvement on the part of the supplier. Utilize statistical methods to evaluate cost performance, product quality and delivery performance. Identify situations where vendors have improved or needed to improve or had to be replaced. Recommended and implemented statistical methods to be applied to measure and track cost performances, evaluate delivery accuracy and conduct a quality audit of a shipment of supplied parts. Reduce vendor manufacturing cost by 20 – 30%. Test-fix-find-test [TFFT] strategy was applied for evaluating reliability growth and the reliability growth was modeled using Crow Extended Reliability Model. Quantitative analysis which verifies that the current MTBF is significantly different from required MTBF and that the system reliability is not improving at the desired rate. Validate beacon’s reliability and verify maintainability design features then confirm beacon is designed to meet USAF specification requirements. Utilized selected reliability and maintainability analysis tools to provide evidence that the beacon design can meet reliability and maintainability requirements. Quantify design and field reliability associated with requirements specified in USAF contract No. FA860614C6390. The study was done to quantify the reliability performance for devices deployed in the field and verify how well they performed over its service life and in compliance with the requirements outline in the product specification. The scope of the analysis necessitates distribution analysis of failure data, repairable system analysis and reliability growth analysis to evaluate improvement effort. A range of reliability analysis methodologies were utilized to quantify device reliability from different perspectives. These methods include: Weibull Life Data Analysis, Mean Cumulative Function (MCF), General Renewal Model, Kaplan Meier and Crow-AMSAA Growth Model to perform repairable system analysis of the medical devices deployed in the field for more than 20 years. Method to determine device end of life and guidance of how to determine optimum PM schedule based on engineering analysis. A list of recommendations for consideration for the next generation model was presented along with a reliability target that will ensure failures are minimized when the new model is deployed. 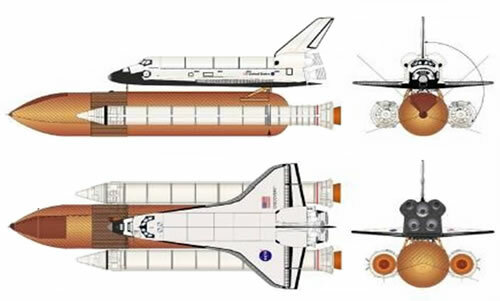 Our capabilities, methods, and strategies along with creative application of experience enable us to supports projects as complex as a space shuttle that requires RMQ engineering solutions.